table setting or that favourite cosy garden nook. If you’re looking for premium garden benches in Sydney, Melbourne and the rest of Australia, 30 years of hard work and manufacturing experience has given us the leading reputation when it comes to the outdoor furniture landscape. Our diverse range of English heritage inspired teak benches and stainless-steel products are designed to ensure our customers make the most out of their outdoor space. Throughout the years, Jati has constantly remained up to date when it comes to interior trends in Australia, sustaining a strong relationship with our customers by evolving with them as time goes on. Today you can view our range of outdoor benches in Sydney and Melbourne at the Jati showrooms, where you can truly appreciate the intricate details that go in to the creation of our pieces. We pride ourselves on producing timeless and durable furniture, so rest assured as a returning or new customer, that our outdoor benches are curated from the finest quality materials, designed to stand the test of time in any kind of weather. 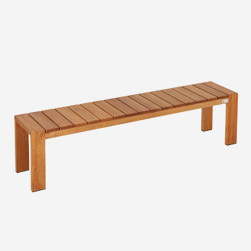 Our functional range of outdoor benches have been designed to suit any type of home, no matter the size or shape of your courtyard, garden, or patio. Jati designs bring both a modern, yet homely feel to your garden space. Whether you’re looking for a teak bench seat to bring an inviting vibe to a cozy garden nook, or a teak garden bench featuring an intricate detail of joinery, the options are endless. The decorative arrangements of some of our larger garden benches work as features pieces and can be complemented by our comfortable cushions. Available in various sizes, colours, and made from quick-drying foam that drains water efficiently, use them to finish off your outdoor benches in Melbourne and the rest of Australia nicely. If you feel that you’ve found the perfect teak bench seat but want to view the item before purchasing, you can reach our Melbourne showroom at [email protected] or via the phone on 03 9427 8452. If you’d prefer to visit us in our Sydney store please call us on 02 9439 4727 or send over an email to [email protected] and our friendly staff will be delighted to organise a viewing for you. You might also want to check out our range of outdoor teak chairs and amazingly comfortable sun loungers.